I keep wanting to describe this as a deduction game, but there is no actual deduction. Instead, players lay cards to narrow the possibilities until they are able to place a 'visitor' in the Café. So logic is definitely involved, but (almost) all the information is in the open for the players. 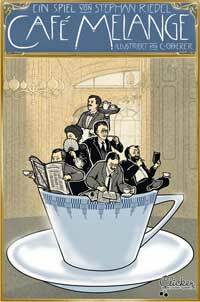 The setting is Viennese café society in 1910, patronised by luminaries such as Freud, Klimt and Mahler. The question is, where will they sit in the café? 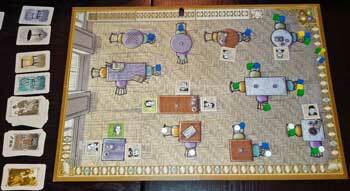 The board is a floor plan of the eponymous establishment, showing tables of different shapes and colours, each with chairs of different colours. The cards show a shape or colour and are played either for one of the personalities or one of the player's own 'guests', to show where they might sit. Points come from placing visitors in the café with possible bonuses at the end where players' guests share tables with personalities. This is a clever, subtle game, whose atmosphere is enhanced by the terrific illustrations – each guest is a unique drawing. If you want to ring the changes, the expansion, Waiter, the Bill Please!, provides an alternative set of order cards. 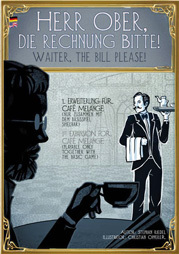 Café Melange was designed by Stephan Riedel and is published by Clicker Spiele. I'm tempted to shorten the title to simply, "Check, please!" It adds markers for each player, along with a replacement set of order cards, giving players a rather different game. In particular, players only score for the personalities they place themselves, using their markers to identify them. Waiter, the Bill Please! 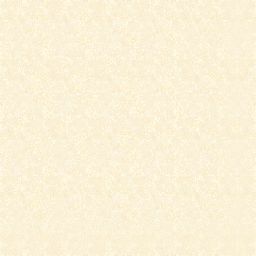 was designed by Stephan Riedel and is published by Clicker Spiele. Page created 22nd December 2013.Last modified 8th February 2019.